The Kumpula Campus Library was closed on 21 May – 2 September, 2018 due to renovation. 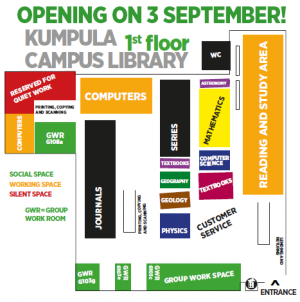 The first floor has been available with its collections, facilities and services from Monday, 3 September, 2018, and the second floor’s Ubikampus smart facilities from Friday, 1 February, 2019. The library’s facility upgrade project is connected with a broader project that involves the Faculty of Science and the University’s Student Services. 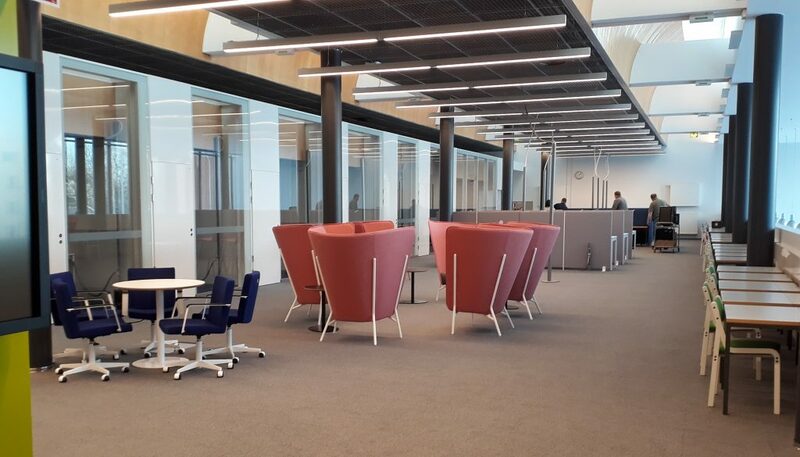 The library’s aim has been to create a versatile and flexible learning environment on the first floor, as well as in a space approximately half of the current area on the second floor. Printed collections that was previously on the second floor has been moved to the first floor so in the future both textbooks and other materials can be found on the first floor. The Examinarium electronic exam room has moved from the library to Chemicum (first floor, room A122). New self-service loan and return station is located next to the library entrance. Former group work room G108d has been turned into a silent reading room. In other words, there are two silent reading rooms next to each other at back corner of the floor. There are now four group work rooms on the first floor: G108a, G103c, G103e and G103g. Remember to reserve the group work room using your O365 calendar. Reservations are not taken at the library service desk. The former staff area on the left side of the entrance is now a group work area, which can be used without booking. Textbooks and reference books that may not be checked out are also located in this area. The space vacated by the Campus Library on the second floor will be taken over by the Faculty of Science research staff. The plan is to use the facilities that will remain as part of the library also for new kinds of student services and special examination rooms. 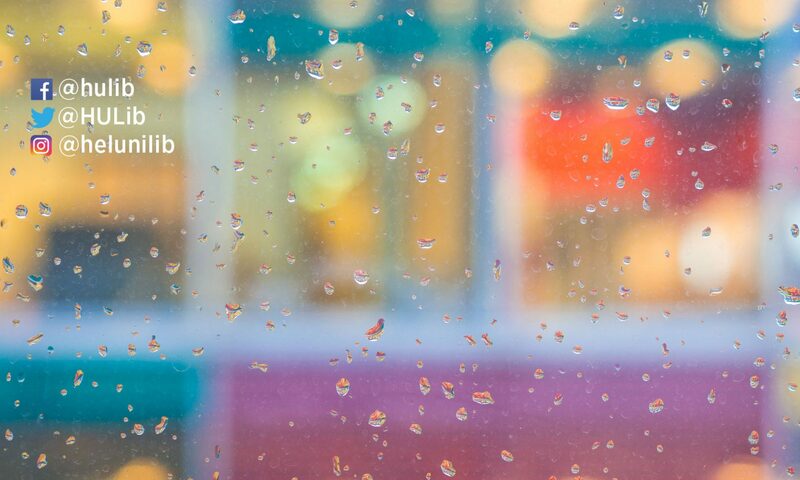 What is taking place in the space is the first pilot of the Ubikampus project, to be introduced to users in the beginning of 2019. In accordance with the University’s digitalisation roadmap, the Ubikampus project aims to establish workspace supported by technology and artificial intelligence on the campuses. Collection removal at Kumpula carried out in early 2018. Kumpula’s books as long-term loan on or after 19 April. Four week loans will fall due on 18 September 2018. Long loan periods for two week loans start on 3 May. The last day the Kumpula Campus Library will be open before the renovation will be Friday, 18 May 2018. The refurbished library will open on Monday, 3 September 2018. The 1st floor and text books are available then. Renovation will continue on the 2nd floor until the february 2019. Library will participate on Kumpula Science Bazaar in 30 September 2018.